An Individual Retirement Account, or IRA, is a form of savings that offers special tax advantages. First created in 1974, over the past decades contribution limits have increased, tax savings have improved, and different types of IRA strategies have been developed. Today, IRAs have become a popular method of investing for retirement. If you prefer to invest in precious metals, consider a precious metal IRA. Many investors use this as a portfolio diversification strategy or specifically to benefit from the investment potential of gold and silver. In the past decade, gold has outperformed the stock market by more than 400%. A precious metal IRA account is backed by gold, silver, platinum, or palladium. When investing in a precious metal IRA, your money is held in precious metals. The actual coins or gold bars are held in a depository. Only specific coins and bars may be held in an IRA. This includes U.S. gold, silver, and platinum coins, along with other bullion coins that meet specific fineness standards (0.999 pure), such as the Canadian Maple Leaf. Some gold coins, such as South African Krugerrands (which are 91.67%) pure, are not allowed in precious metal IRAs. In addition, numismatic items such as certified or graded coins – with a market value based primarily on their numismatic worth rather than the inherent value of the precious metals they contain – can not be held in an IRA. Setting up a precious metal IRA requires three parties – an administrator, a bullion dealer, and a depository. If you plan to hold the gold in an IRA, you cannot visit a local coin dealer and purchase the coins yourself. Instead, you must set up a Self Directed IRA account in order for the precious metal purchase to qualify as an IRA investment. An IRA Administrator will handle all of the money. Once you open your account and fund it – either with a rollover from an existing 401K or IRA, or by deposit – they will make the actual payments to the coin dealer from whom you are purchasing the gold. With an IRA, you have the ability to choose which coins to purchase and who to purchase them from. However, under IRS rules, as the IRA account owner, you cannot have physical control over the underlying assets (the coins), nor can the administrator. All of the coins, bars, and other precious metal assets in your self directed IRA should be stored in a precious metal depository. Depositories own vaults where investors’ coins may be stored. 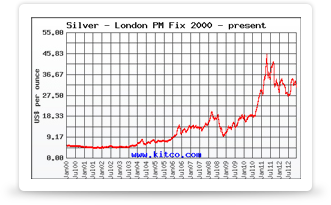 Keep in mind that annual storage fees do apply to precious metals stored in a depositories. Many depositories offer services to help you manage your precious metal IRA. There are certain tax benefits to holding precious metals in an IRA. When selling an investment that was held in an IRA, which is a non-taxable retirement account, the capital gains tax rate is zero. As a result, you may be able to avoid the collectibles capital gains tax if you hold your physical precious metals in an IRA. Consult with your tax advisor if you are considering opening a self-directed IRA for your precious metal investments.